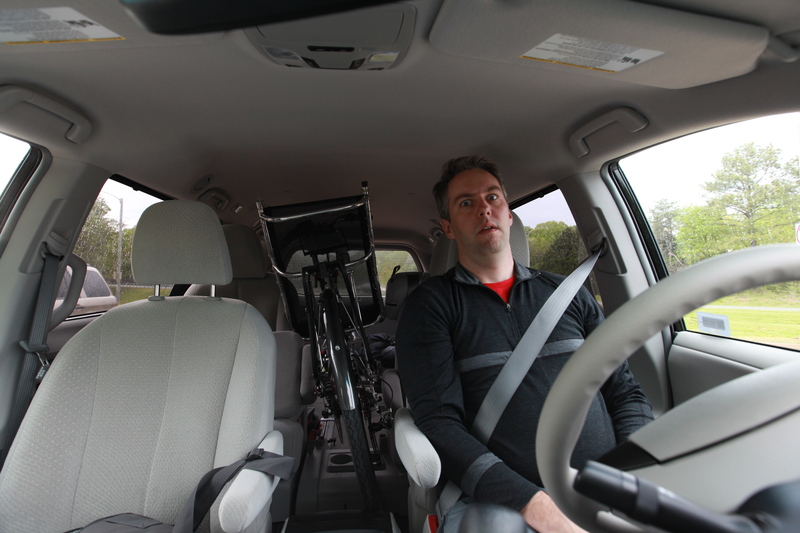 Day 0: The incredible adventures of getting a recumbent bike to VA Beach | Mike Evans. Getting a ‘bent 1,000 miles and setup at the end of the day is a beast. 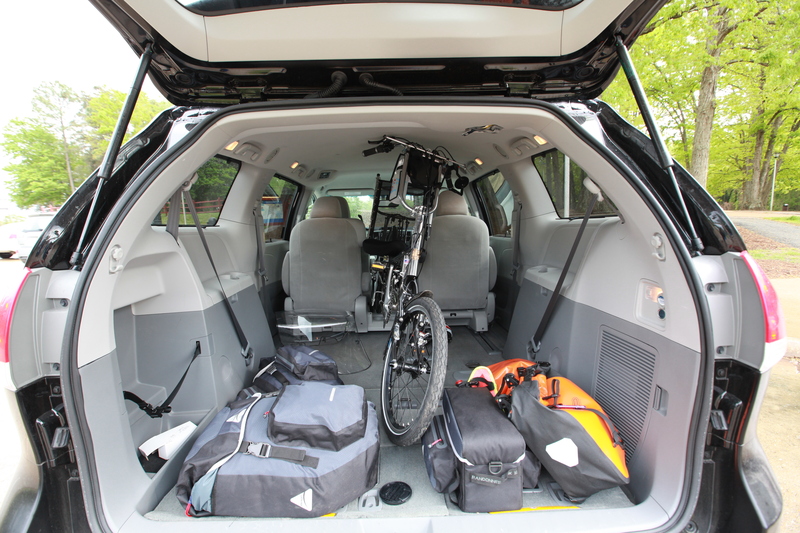 The adventure started yesterday with an early cab ride to O’hare to pick up a minivan. Fortunately they upgraded my minivan to a large 8 passenger. Which turns out to be critically valuable because the bike just barely fit. I probably could have managed with a smaller van, but it would have been a pain. Starting at 2:45AM, I left Chicago and drove to VA beach. Dropped the bike off at a motel. Drove back to Norfolk International airport to drop off the van. Found a cab to bring me back to VA beach, and then ordered some food to my motel room while I reassemble everything, and get ready to dip my wheel tomorrow. I’m zonked from 16 hours of driving to my start point. 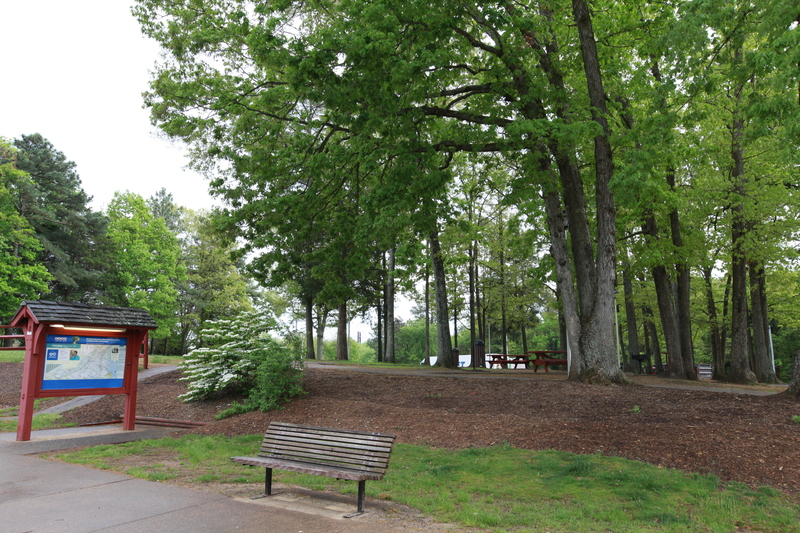 Adding to the anticipation of the trip was this little oasis of nature at a VA rest stop. I love the smell of the Southern US in Spring. It is such a strong smell of renewal and potential. A little oasis of nature while driving to my start point. 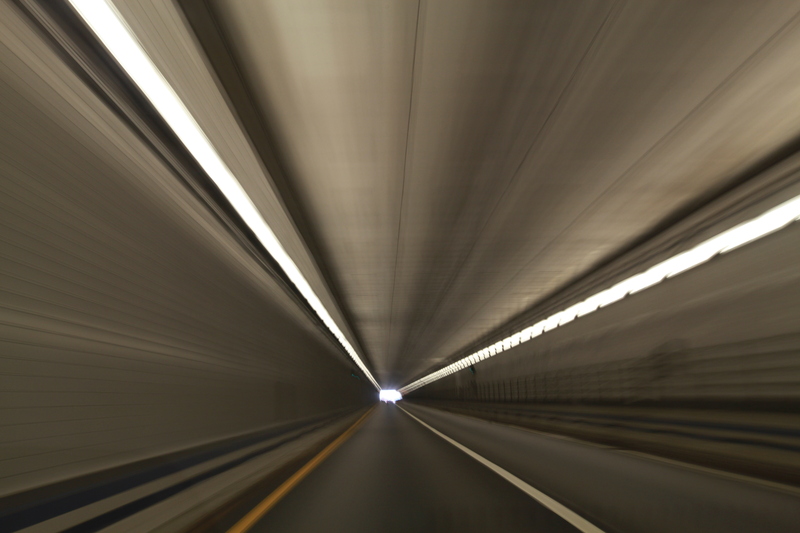 Leaving the tunnel towards VA beach on 64E, I hit the warp speed button. Sick of driving, I hit the warp speed button. Good luck on your trip. I was turned on to your blog by a friend of mine. We’re preparing our own epic trip from Vancouver, BC to San Francisco, CA starting on June 25th. Looking forward to your day-to-day update. Very cool. Some of the tourers I’ve run into have done that route and say it is incredibly beautiful.